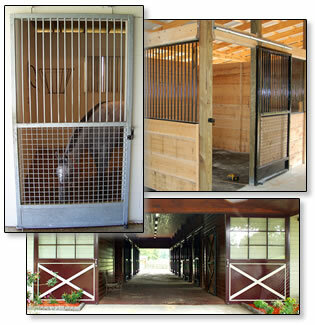 Architectural Doors & Hardware offers a complete line of products for the equine enthusiast from stall doors, grills, sliding endwall and sidewall doors as well as sliding track systems, stops and guide rollers to complete the job. Whether you have a hobby farm or are involved with a professional training center, ADH can supply you with the equipment you need in standard sizes and custom built to suit your needs. 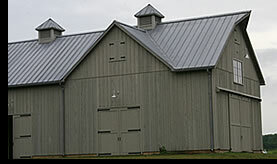 Specialty doors for endwall and sidewall openings, tack room and feed using a variety of materials including woven mesh and perforated panels for allowing ventilation with minimal opening size.